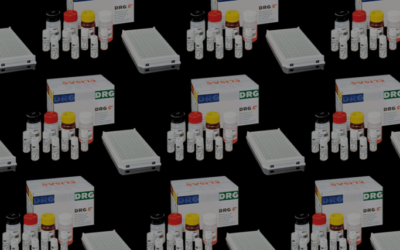 Enzyme Immunoassay for Hepcidin Detection | DRG International, Inc.
Hepcidin is a recently discovered hormone that controls the absorption and distribution of iron in the body. Iron is essential for all organisms and the body must maintain a balance or serious health issues can occur. 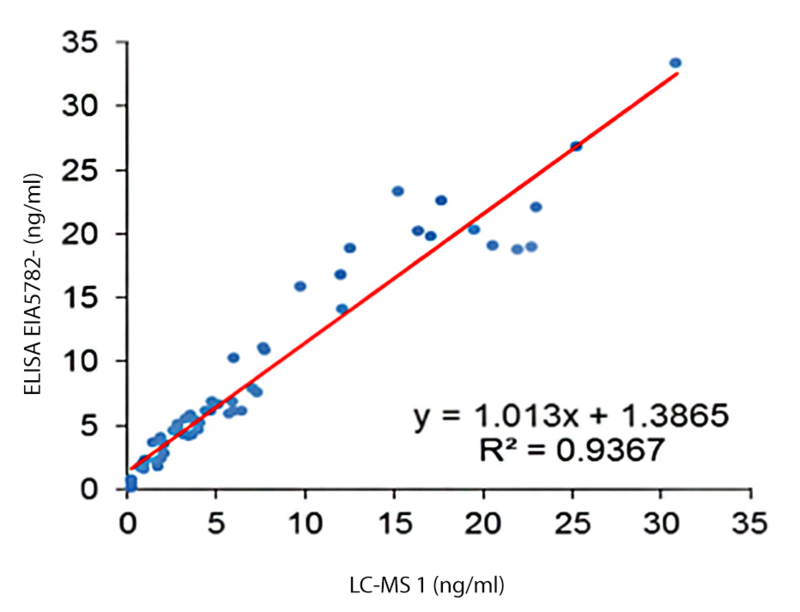 Unbalanced iron levels can lead to many common medical conditions including anemia and hemochromatosis, and it can cause chronic kidney disease, inflammation or diabetes mellitus. 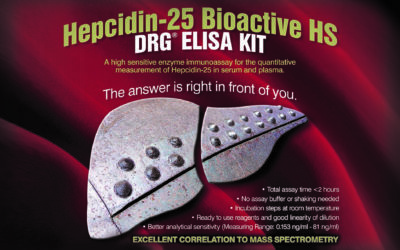 Excessive iron absorption, associated with low levels of Hepcidin, can lead to severe morbidity and mortality. Conversely, iron anemia due to low levels of iron in the blood affects roughly 1 billion people worldwide. 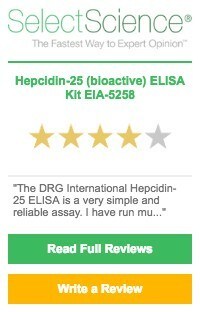 DRG is very proud and equally pleased to introduce the DRG Hepcidin 25 ELISA, which will help revolutionize future research of anemias and iron overload diseases. 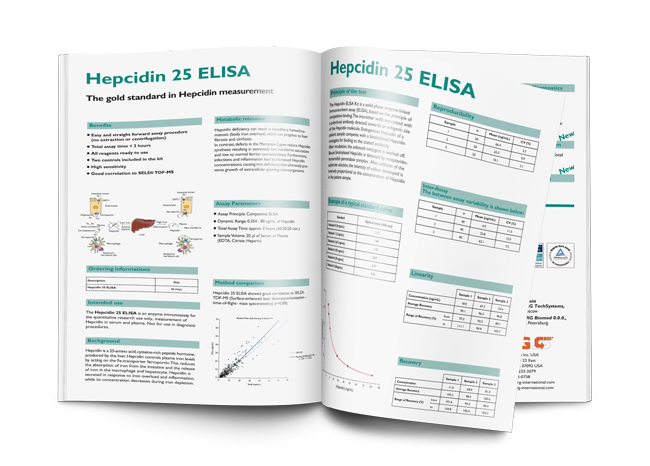 DRG’s Hepcidin 25 bioactive ELISA is a breakthrough product that is at the forefront of a new wave of research into iron metabolism disorders. 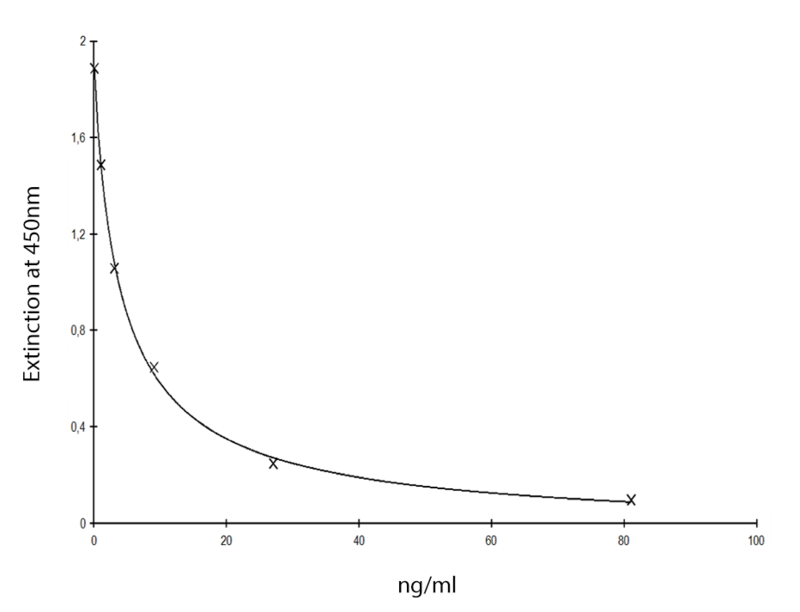 Add 100 µl stop solution (0.5% sulfuric acid).